How to buy and store Basmati rice is a question asked as basmati is a favorite of many people. As basmati rice is expensive compared to other rice varieties, it makes sense to know how to buy a good quality basmati rice and store it. Basmati rice is grown mainly in India and Pakistan and is consumed all over the world. 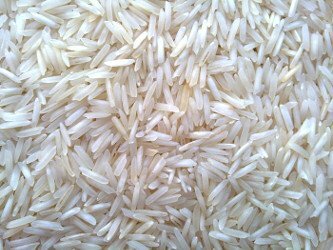 Basmati is available in white and brown rice varieties. White basmati is used more commonly and has more flavor. Brown basmati is used by health conscience people. The brown rice variety is the unprocessed, unpolished variety which contains more fiber and the nutrients. Brown rice takes longer time to cook compared to white rice. 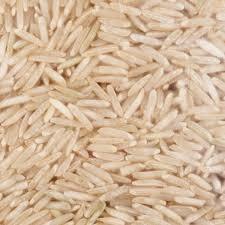 Basmati is sold under many brand names such as Kohinoor, Dawat, Tilda, Dehra Dun, Pari etc. 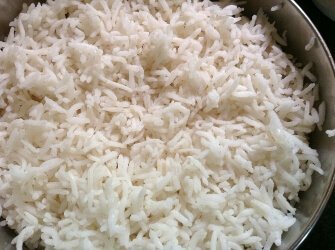 Basmati is long grain rice and cooks fast. Though it is a bit expensive compared to the other varieties of rice, it is in demand for it's delicate flavor and wonderful taste. The specialty of Basmati-rice is the wonderful delicate flavor and the fragrance. It is non sticky when each grain is just cooked and looks fluffy. It is used in vegetarian as well as non-vegetarian rice recipes. 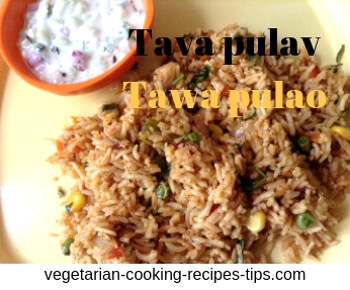 Basmati is used to make a variety of pulav / pulao as well as biryani. It is also made plain. Whether consumed as plain steamed rice or mixed with vegetables and spices and cooked, it looks appetizing and tastes yummy. Though it is a bit expensive compared to other rice varieties, it is worth it. Make sure it is aged/ old rice. Check the label or ask your grocer. Generally at least a year old rice is used. The new rice will become sticky when you cook. Many people buy new rice as it is cheaper and store it for a year or two and then use it. Make sure it is long grained and does not contain too many broken grains. Rice should be free from stones and other unwanted things. You may need to separate those things before you cook rice. It is better to buy a small quantity , take it home and cook and check how it comes out. After that if you are satisfied, buy the same variety in larger quantity. Store rice in a dry and cool place. Put it in a container with a tight lid. Rice should be stored away from moisture and open air. Rice will get moldy if exposed to moisture. How to cook basmati rice :- Instructions for cooking rice on stove top. Cooking basmati rice :- In a rice cooker or in a pressure cooker.